With many drivers misunderstanding the capabilities of advanced driver assistance systems (ADAS), Euro NCAP is stepping in to cut through the hype and assess what such systems can – and can’t – do. Craig Thomas looks at the proposals. The manufacturer self-driving arms race is definitely well underway, with most major carmakers currently developing systems that will enable autonomous driving to become a reality in the next decade – as long as the legislators give it the nod, through new laws that will allow vehicles to drive themselves on the public road. This full autonomy will build on existing assisted driving technologies – the likes of adaptive cruise control, lane-keeping and lane-centering features, and speed assist – but we’re still some way away from that, despite what the manufacturers’ marketing messages are subtly trying to persuade us to think. Names for assisted driving features such as Autopilot (Tesla) and ProPilot (Nissan) only muddy the waters further and many drivers already think that self-driving cars are available today (Volvo’s Pilot Assist is perhaps the most accurately named such feature). A recent survey conducted by Thatcham Research, Euro NCAP and Global NCAP unearthed worrying levels of confusion among drivers about the capabilities of modern cars, with 53% of UK respondents believing that they can purchase a car that can drive itself today. The results also showed that 18% think that a car marketed as being capable of automatic steering, braking and acceleration allows them to “sit back and relax and let the car do the driving”, while 34% think that such systems mean that they can text on a mobile phone. Staggeringly, 11% said that they would be tempted to have a quick nap. This dangerous confusion is being addressed by Euro NCAP and Thatcham (the UK member of the testing organisation) as it has now started to assess the various assistance systems fitted in manufacturers’ models. Staring with 10 models – Audi A6, BMW 5 Series, DS 7 Crossback, Ford Focus, Hyundai Nexo, Mercedes-Benz C-Class, Nissan Leaf, Tesla Model S, Toyota Corolla and the Volvo V60 – Euro NCAP is testing the cars to assess the benefits of the highway assist systems on board. 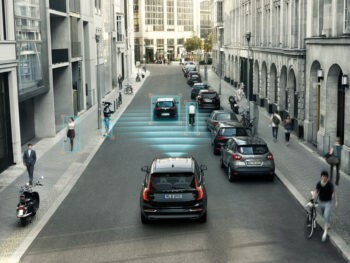 Among the initial conclusions are that no car on the market today offers full automation or autonomy; current models can provide driver assistance, but this should not be confused with automated driving; used correctly, this technology can help the driver to maintain a safe distance, speed and to stay within the lane; the systems shouldn’t be relied upon as an alternative to safe and controlled driving; and different manufacturers have implemented different approaches to how driver assistance technologies are applied, in terms of the level of assistance given to the driver. This is just the start of the assessment process, however, as Matthew Avery, director of research at Thatcham, explained to Fleet World when we visited its testing facilities to discover for ourselves how varied the assistance systems are. “We’re just raising the issue now: by 2020 we will be rating them,” Avery said. “We will be grading automated functionality, saying that this car is better than that one. Assessing these assistance systems is crucial to ensure that drivers fully understand their role and limitations – something that the results of the recent survey suggest is badly needed. Avery explained the messages that Euro NCAP was hoping to communicate to drivers, by assessing and rating this technology. “The first message to the consumer is that these are all assisted and there’s no such thing as automated – because with cars like the Tesla, consumers think that this is automated driving and the car will drive itself. We want to make it very, very clear that these are not automated, they’re assisted only. “The second thing is that we believe that the assisted driving technology is beneficial. We know that, for instance, two of the main types of collision, especially on motorways, are running into the back of someone because you’re too close and a lane manoeuvre, where you run into the side of someone or you run off the road. These vehicles have got the functionality that keeps the distance with the ACC and it’s also got lane support. They’re addressing the sorts of crashes that people have on motorways – plus drivers have the emergency support systems of AEB and emergency lane keeping. These are systems that we want people to use to stop them getting into trouble and it’s about just keeping people safe in their driving. We experienced this for ourselves when taking a selection of the cars tested by Euro NCAP – Mercedes-Benz C-Class, Tesla Model S and Volvo V60 – on track. We took part in a number of tests, comparing the different assistance systems and how they interact with the driver. For example, a test that replicates manoeuvring around a pothole, while lane-keeping technology is engaged, highlighted the different levels of steering assistance: the Mercedes and Volvo allow the driver to override its desire to keep the car within the lane markings, but the Tesla resists, forcing the driver to battle with it to take over. It’s trying to be automated and is arguably too competent – which is a danger because it can give the driver a false sense of security. 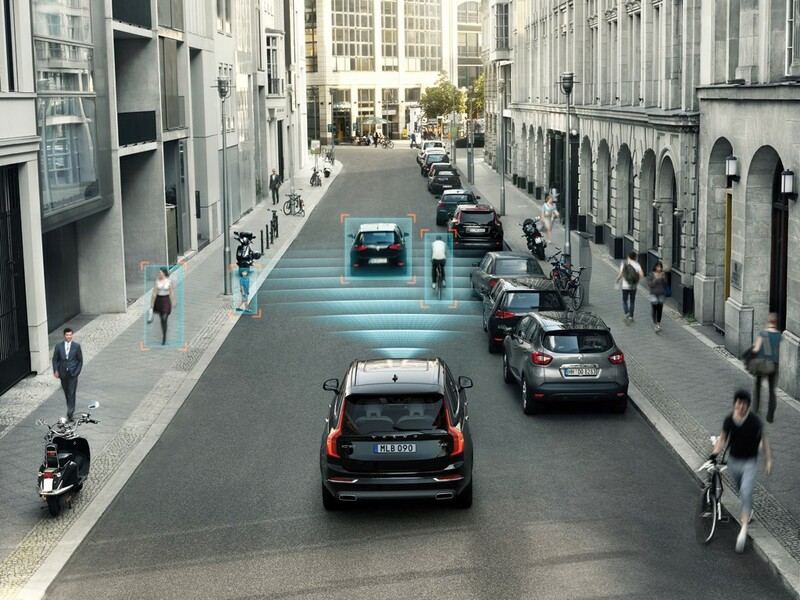 Euro NCAP estimates that the next stage of autonomy – Level 4, where no human interaction is required to drive the car – could be attainable by 2021. “That will mean being able to cope with 99% of all traffic conditions. For instance, on the motorway, we would expect an automated system to be able to enter the motorway, change lanes safely, understand variable speed limits, keep the driver safe and at a close distance, and cope with the likes of adverse weather, tunnels, road works, et cetera,” Avery explained. Whenever full automation does arrive, Euro NCAP will continue to assess and rate the different systems used by manufacturers, offering drivers (or, perhaps more accurately, occupants) as much information as possible about the abilities of an automated system. And then perhaps they really could safely have a nap.